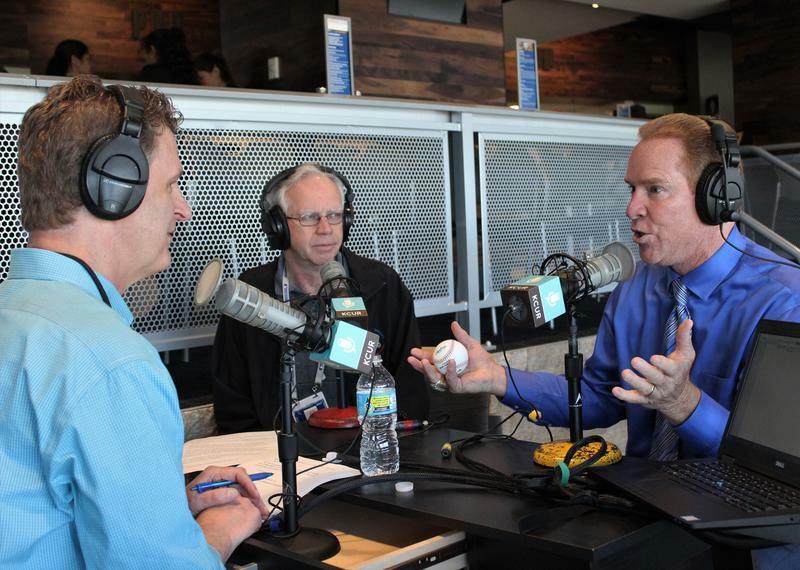 Host Steve Kraske (left) discusses the strengths and weaknesses of the 2017 Royals with sports reporter Greg Echlin (center) and Royals broadcaster Rex Hudler (right). 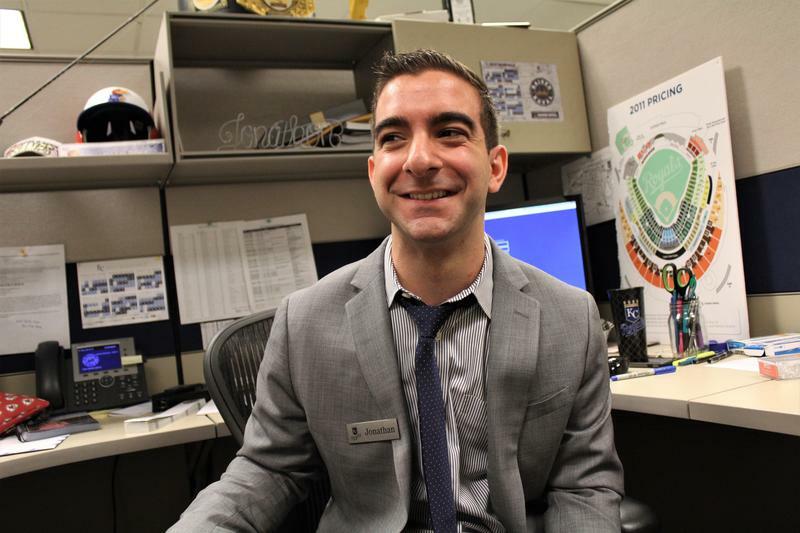 Guest experience specialist Jonathan Rosa uses his love of the game to ensure the best experience for fans at Kauffman Stadium. 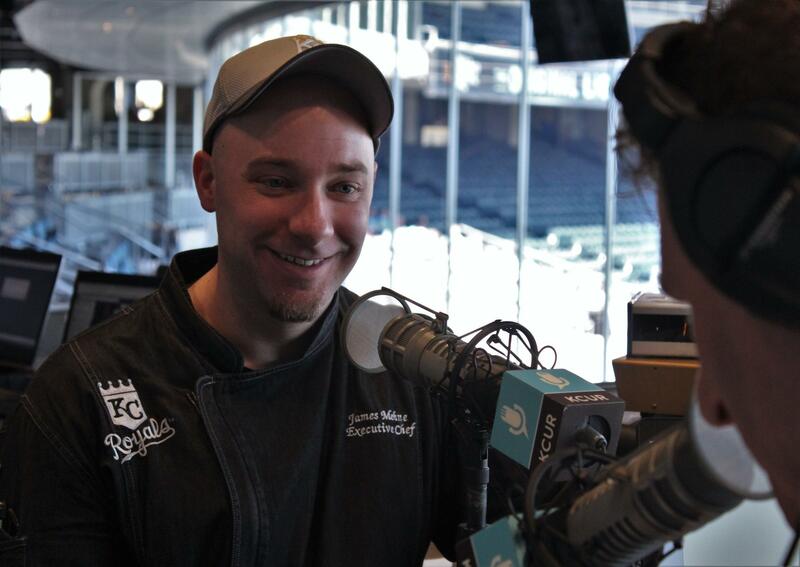 Aramark Executive Chef James Mehne (left) shares a laugh with host Steve Kraske on the wackiness of liquid nitrogen ice cream. Royals practice in near-perfect weather shortly before the home opening game. Ian Kennedy winds up for a pitch as the Kansas City Royals take on the Oakland Athletics. 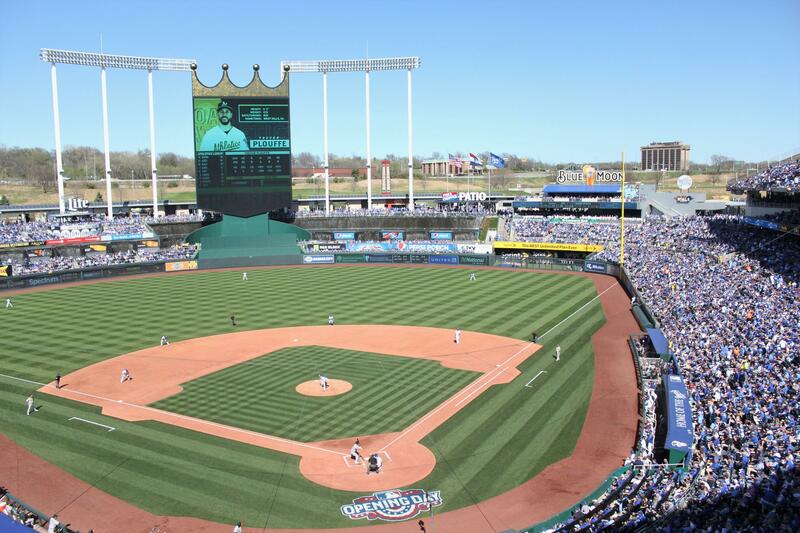 Saying Kauffman Stadium has been keeping busy would be an understatement. From renovation projects, to exhibits honoring the late Yordano Ventura and even liquid nitrogen ice cream, we speak with staff from all corners of The K who have made the Royals' 2017 home opener an experience to remember. But don't worry, we didn't forget about the game! We also analyze the team's strengths and weaknesses as we look at how our boys in blue may perform this season. 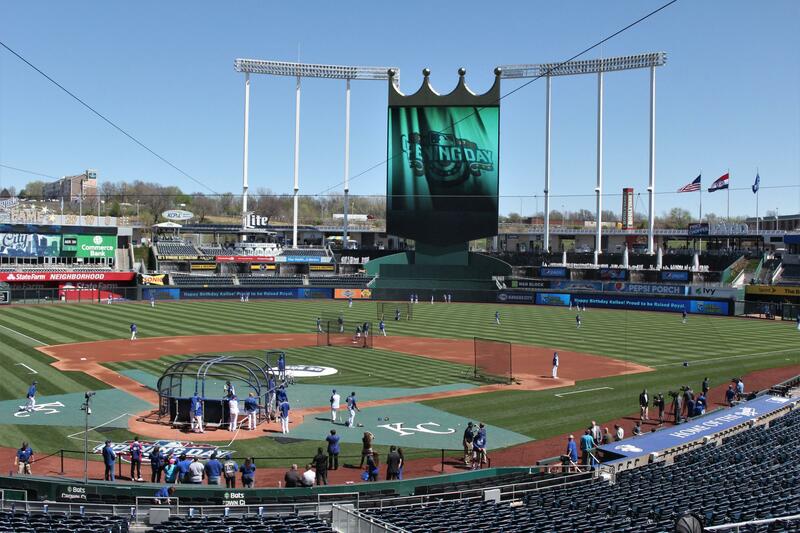 Old-school Kansas City fans who prefer the standard stadium stuff – hotdogs, peanuts and Crackerjacks – may snub their noses at some of the new fare at Kauffman Stadium. But one thing is certain: the Royals are already winning in crazy food concoctions. 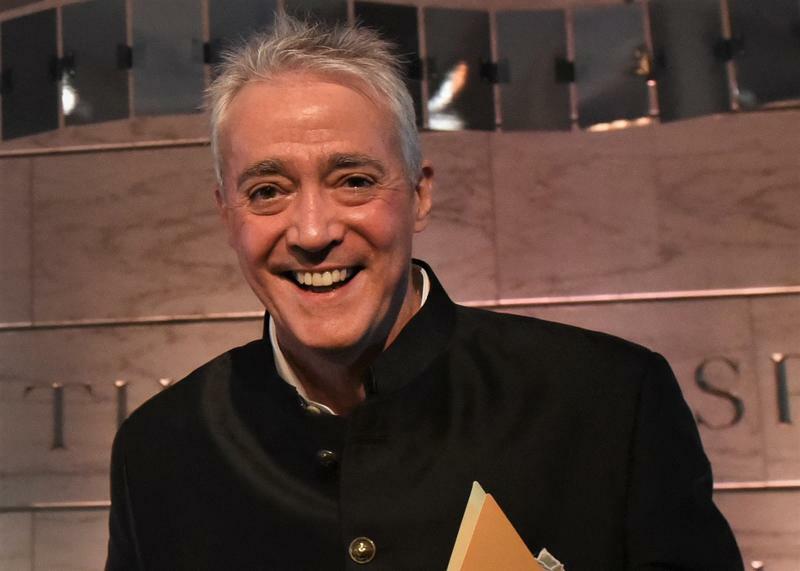 Scott Simon, journalist and longtime host of Weekend Edition Saturday, is known for his calm, civilized demeanor, but that attitude quickly changes when it comes to the Chicago Cubs. We speak with NPR's Saturday morning voice about his ties to the baseball team and how their thrilling 2016 World Series win drove him to write a book about his beloved Cubbies. Before a college ballplayer can make it to the Majors, they've got to prove to coaches, scouts, and most importantly themselves, that they have what it takes. The Clarinda A's baseball team, and the small Iowa town that hosts it, has the unlikely distinction of not just developing that kind of talent, but of fostering hard work, integrity and responsibility in the process.